120 Middleton Place, Athens, GA.| MLS# 968310 | Athens. Athens Realtor. Athens Georgia Realtor. Athens Homes for Sale. Athens Georgia Real Estate. Athens Area Real Estate. Athens Real Estate. Moving to Athens. New home Athens. 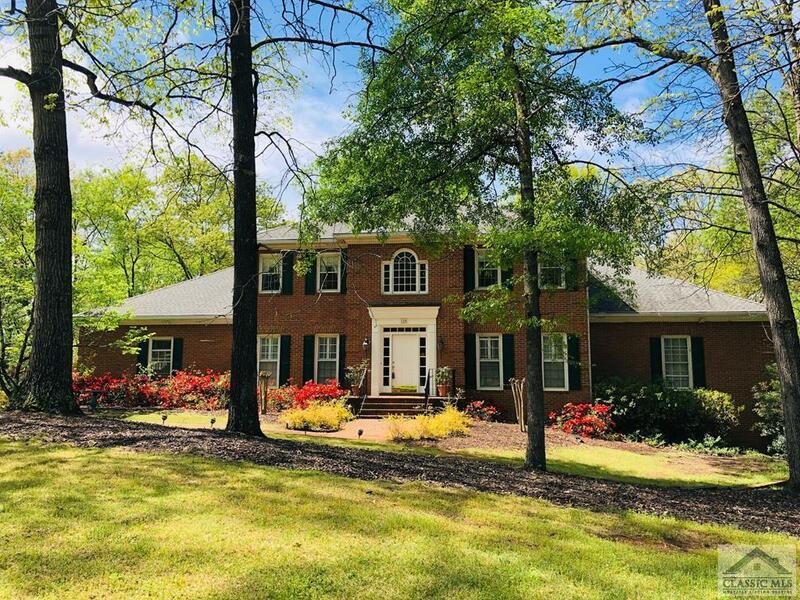 Stately 6 bedroom and 4.5 baths in this brick traditional in one of Athens' premier subdivisions. Well maintained all brick executive home with Master on main and separate in-law suite. Spacious Dining Room and Living Room with Family Room over looking large screened porch. Very private lot with mature landscaping. Finished basement with workshop and in-law suite and tons of storage. No HOA and comes with a one year home warranty.